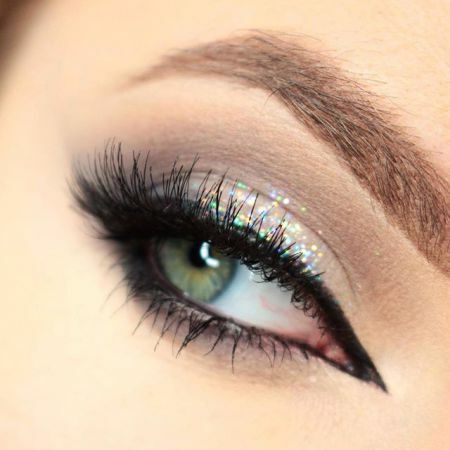 Silver Eye Makeup - Silver glitter in makeup will make you the queen of any party. Many people associate silver with frost and cold, and it is a color that is suitable for almost everyone. This makeup look will give each girl nobility and refinement, emphasize her individuality, and make her stunningly beautiful. Silver smoky eyes is a look you must try at least once to experience the atmosphere of a fairy tale, magic, and miracles. 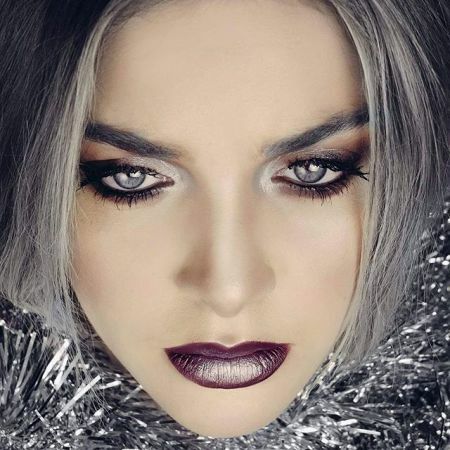 Silver eyeshadows are great for the holidays, when the frost draws its intricate patterns on the windows and candle flames are reflected in the Christmas tree toys. Makeup in silver shades is a worthy competitor to all of this. But, of course, it can also be created any other time of the year. There are different types of makeup in silver shades. In its pure form, it is perfect for blondes with blue eyes and fair skin. Brunettes and women with dark skin look best in silver-beige shades. There are also silver coral, silver olive makeup, etc. It’s up to your imagination which colors you choose for your makeup because silver shine combines well with almost all colors. To create the makeup in silver shades you will need silver eyeshadows, black, blue, or white eyeliner, and black or gray mascara. First, apply the lightest shade of eyeshadow on the mobile eyelid, and then add eyeshadows of medium intensity to the middle and the darkest shade on the outer corner of the eye. 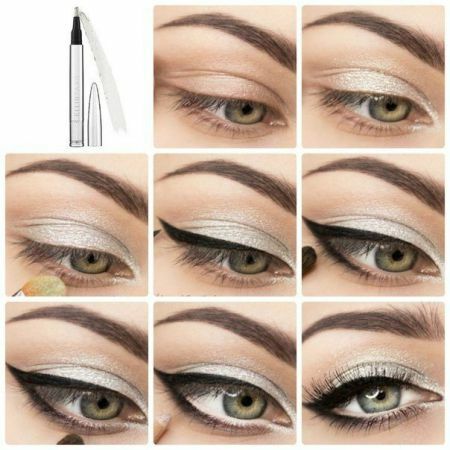 Emphasize your eye shape with the help of eyeliner. Last but not least, apply mascara and makeup in silver shades is ready! Modern manufacturers offer a huge range of tools which can help you create a stunning makeup looks in silver shades. And you can come up with various methods, techniques of their application. For example, to enhance the effect of silver, you can try the following: wet your eyeshadow brush in water, squeeze the excess liquid, dip in silver eyeshadows, and draw a line along your winged eyeliner. An important issue is the choice of lipstick. For makeup in silver shades, you can choose flesh colored lipstick or bright red. Avoid the color gold when sporting silver eyeshadows as this will not fit at all. It is necessary to choose either gold or silver. 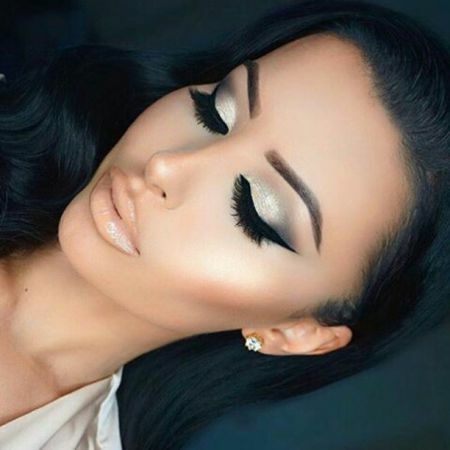 Silver Eye Makeup: If You Choose Silver, You Will Not Regret it! Like the article «Makeup in Silver Shades»? Share it with friends!